THE NEW AND IMPROVED MEAN GREEN MACHINE! Well folks this color takes the cake. There is no other like it. Collectively the members of the 7 Up Club we were all somewhat skeptical of Ed's prospective choice of colors but he managed to prove us all wrong. The color is fabulous. 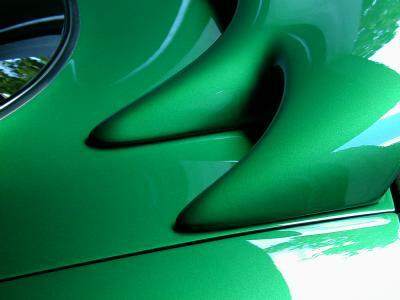 A beautiful metallic flake green. The color is an OE Ford Mustang (now this IS ironic!) 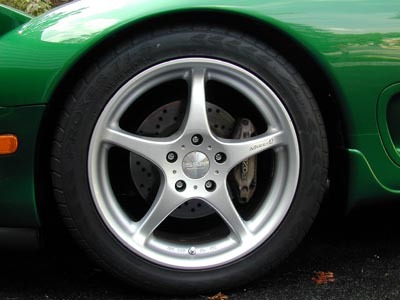 color: "Electric Green Metallic" . The work was done at WagonWorks in Virginia for the cool sum of...... A LOT. But in Ed's opinion it was worth every penny. WagonWorks did a fine job and went as far as painting door sills and hatch gutters, removing all trim and lighting, painting the nose and mudguards separately, etc etc Like I said the cost is reflected in the results. FIND OUT THE REASON ED CHANGED HIS PAINT COLOR! 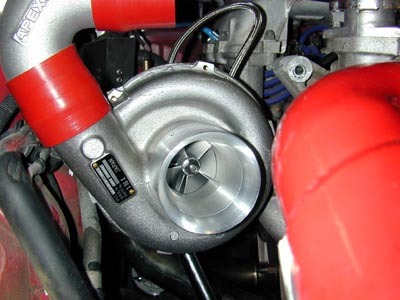 Introductory note: Mr Hahn has become the first of our group to join the illustrious single turbo owners club. This somewhat not entirely by choice. It appears that at the fall MADS event in 2000 Ed's car cooked the ignition which subsequently caused things to get VERY hot thereby "lunching" the turbos. Engine temps got very hot but thankfully subsequent engine testing indicated no damage to the engine during teardown of the shot turbos. 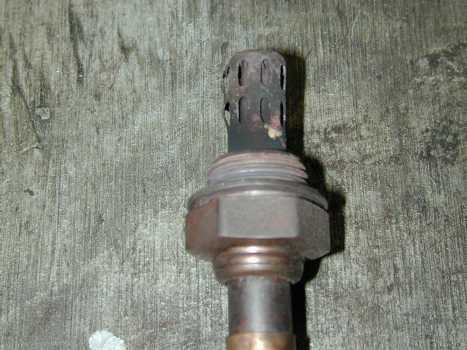 Apparently turbo temps had gotten so high that the O2 had melted and the exhaust manifold needed the help of a torch to remove it from the block. 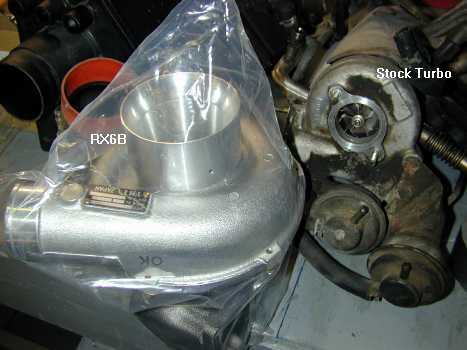 After some consideration and research it was determined that the additional cost of the single turbo conversion was not all that much more than simply reverting back to the OE turbo setup or even switching to the 1999 OE turbos from the J-spec RX-7 either of which at Ed's level of performance are essentially at their design limits. 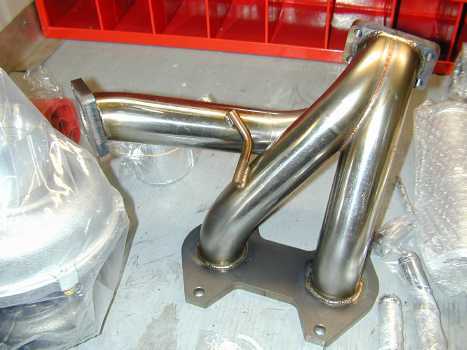 The choice was made...single turbo! 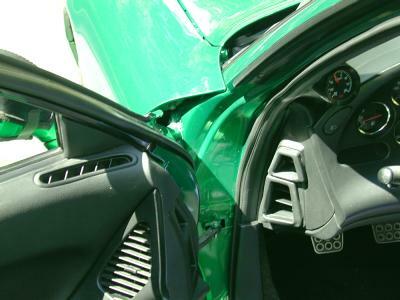 Some shots of the damaged parts and the work installing the Apex'i kit. Silicone vacuum lines - glued and zip tied. 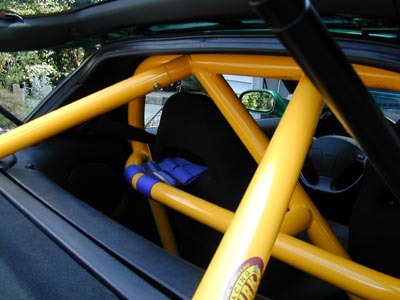 Kirk Racing 4 point roll bar - Powdercoated Yellow!